The maritime boundary between Guinea-Bissau and Senegal was first established between Portugal and France in 1960, which delimited the territorial sea, contiguous zones, and continental shelf boundary. After independence and several years of failed negotiations, the two States agreed to have the validity of the colonial agreement arbitrated. In 1989, a tribunal ruled in favor of the validity of the 1960 Agreement. Dissatisfied with the completeness of the Award, Guinea-Bissau applied to the International Court of Justice to rule on the validity of the 1989 Award, and the Court issued its Judgment on 12 November 1991. The Court stated that the 1989 Award was valid and recommended that the two States resolve their remaining exclusive economic zone dispute as quickly as possible. 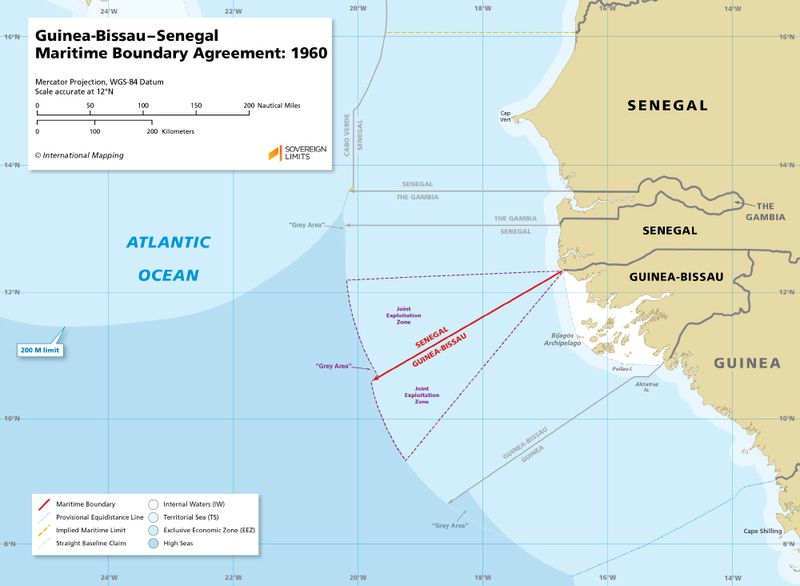 In 1993, Guinea-Bissau and Senegal agreed to a joint exploitation zone that extended across the 1960 maritime boundary, resolving twenty years of maritime frontier questions.